The Nursery offers places for children age 6 months to statutory school age and is open Monday to Friday from 8am to 6pm, all year round apart from the month of August and a period of time around Christmas. There are two main rooms utilised by the nursery: The Caterpillars/Las Orugas – which receives up to 7 infants and The Butterflies/Las Mariposas which receives up to 30 toddlers and children up to statutory school age. The transition from Caterpillars (Las Orugas) to Butterflies (Las Mariposas) is not fixed at a certain age but is flexible and takes place pending on each child’s abilities. As a guide, a child can move from Caterpillars room to the Butterflies room around 18 or when (s)he is able to confidently walk. 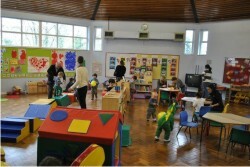 Throughout the day children from both rooms spend time playing together and learning from each other. We receive childcare vouchers towards the costs of the nursery fees (all major providers accepted) and we are registered to receive Tax Free Childcare. 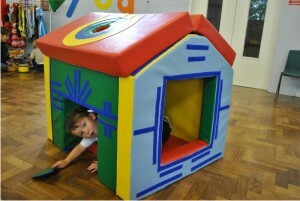 We offer the 15h and 30h childcare for 3/4 year olds (terms and conditions apply) . 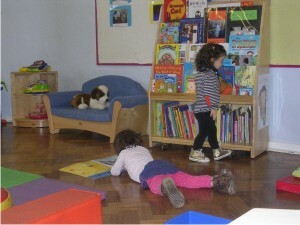 The Spanish Nursery and Children's Centre for Culture and Language aims to provide a welcoming and caring environment which values diversity, promotes equal opportunities and has an ethos of inclusion. All children are encouraged to develop confidence and recognise value in their contributions to their learning. We are committed to offering an inclusive curriculum to ensure the best possible progress for all our children, whatever their needs or abilities. We offer affordable, quality education to support working or studying parents/carers. Early Years are a crucial period of development and we strive to offer the best start in life for our children. 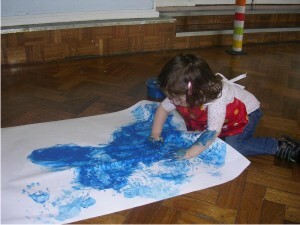 We think that early years are the most important period in the development of future generations. We believe that it is the adults' responsibility to show and teach small children about human emotions, what they are, how they feel like, how to manage them. We want to nurture happy and healthy children, to teach them to develop and maintain loving and successful relationships, teach them to have high aspirations and help them achieve them. We provide our children with a better start in life by continuing to support them to develop language skills and knowledge (all of the children in this nursery already speak at least two languages, most speak three and few even four). We support children to build their resilience and self-esteem. We support them to develop their ability to deal with change and help them build social problem solving skills. We aim to get the balance right between academic achievement and allowing children to be children. Our main contribution to the children's lives goes beyond providing a nursery placement but to the deep core of the formation of their character and spiritual being. In these formative years attachment is the single most important key in the development of a child's emotional well-being. Without a secure attachment our children cannot grow up to be caring, responsible adults who know instinctively how to unconditionally love and care for their own children. We want to carry on the ethos of the Spanish Sisters of Charity and raise our children with love and unswerving dedication. 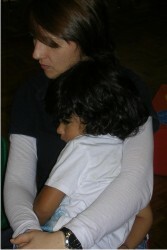 For us and our staff caring for our children comes from our hearts and not from a job description. And as our own children attend the same Centre, nothing short of excellent care will do.